Creative Characters is proud to be the full-service printer of choice throughout Philadelphia. At Creative Characters, we believe that custom printing is about more than ink and paper. In fact, we believe it’s about making your customers feel appreciated. Our first-class printing experts are committed to making sure every print project is flawlessly crafted for unmatched results. As a creative print shop, we strive to exceed your expectations with effective, high quality printed materials. 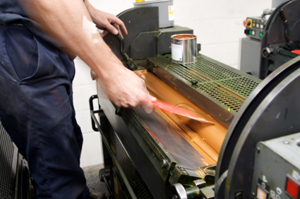 Our offset and high-speed digital printing services are perfect for any business of any size. In addition, we guarantee your project to deliver on time and within your budget. Ready to get started? Place on order online.